SEOUL/UNITED NATIONS, Feb. 7 (Reuters) – North Korea launched a long-range rocket carrying what it called a satellite, drawing renewed international condemnation just weeks after it carried out a nuclear bomb test. Critics of the rocket programme say it is being used to test technology for a long-range missile. The U.S. Strategic Command said it had detected a missile entering space, and South Korea’s military said the rocket had put an object into orbit. North Korea said the launch of the satellite Kwangmyongsong-4, named after late leader Kim Jong Il, was a “complete success” and it was making a polar orbit of Earth every 94 minutes. 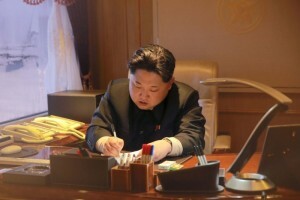 The launch order was given by his son, leader Kim Jong Un, who is believed to be 33 years old. North Korea’s state news agency carried a still picture of a white rocket, which closely resembled a previously launched rocket, lifting off. 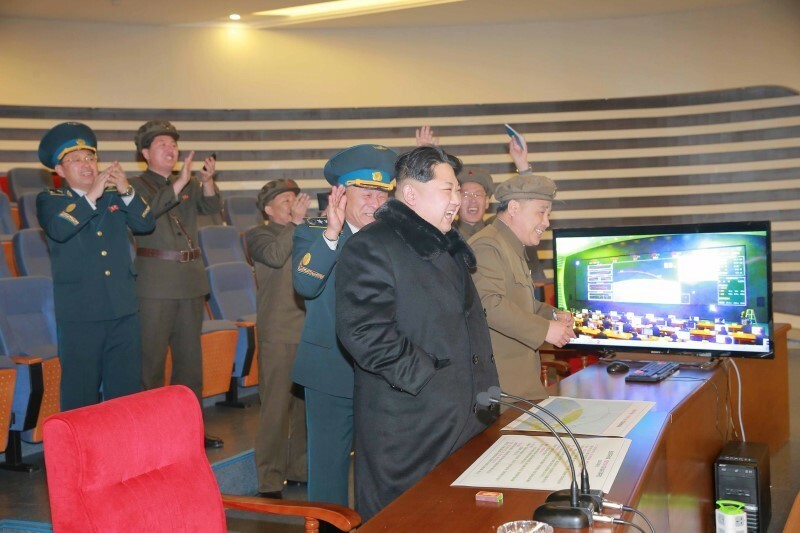 Another showed Kim surrounded by cheering military officials at what appeared to be a command centre. Isolated North Korea’s last long-range rocket launch, in 2012, put what it called a communications satellite into orbit, but no signal has ever been detected from it. 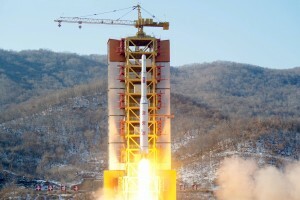 “If it can communicate with the Kwangmyongsong-4, North Korea will learn about operating a satellite in space,” said David Wright, co-director and senior scientist at the Global Security Programme of the Union of Concerned Scientists. The rocket lifted off at around 9:30 a.m. Seoul time (0030 GMT) on a southward trajectory, as planned. Japan’s Fuji Television Network showed a streak of light heading into the sky, taken from a camera at China’s border with North Korea. North Korea had notified United Nations agencies that it planned to launch a rocket carrying an Earth observation satellite, triggering opposition from governments that see it as a long-range missile test. The U.N. Security Council condemned the launch in an emergency meeting on Sunday, and vowed to take “significant measures” in response to Pyongyang’s violations of U.N. resolutions, Venezuela’s U.N. ambassador said. The United States and China began discussing a U.N. sanctions resolution after Pyongyang’s Jan. 6 atomic test. North Korea had initially given a Feb. 8-25 time frame for the launch but on Saturday changed that to Feb. 7-14, apparently taking advantage of clear weather on Sunday. North Korea’s National Aerospace Development Administration called the launch “an epochal event in developing the country’s science, technology, economy and defence capability by legitimately exercising the right to use space for independent and peaceful purposes”. 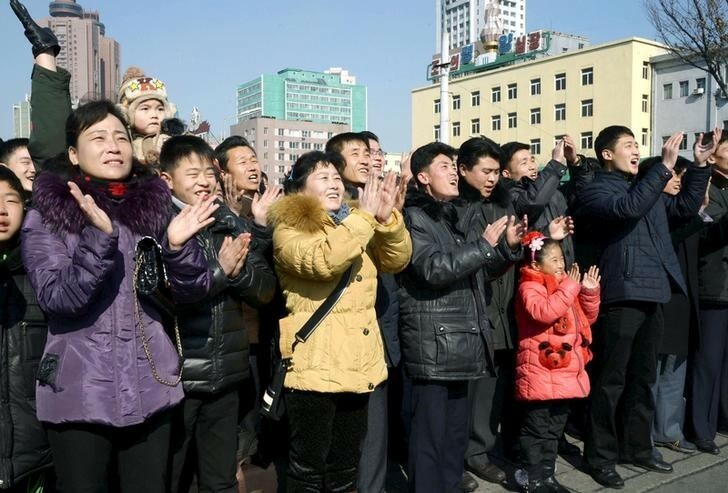 The launch and the nuclear test are seen as efforts by the North’s young leader to bolster his domestic legitimacy ahead of a ruling party congress in May, the first since 1980. North Korea’s embassy in Moscow said in a statement the country would continue to launch rockets carrying satellites, according to Russia’s Interfax news agency. South Korea and the United States said that if the advanced missile defence system called Terminal High Altitude Area Defence (THAAD) was deployed to South Korea, it would be focussed only on North Korea. Seoul had been reluctant to discuss openly the possibility of deploying THAAD. South Korean President Park Geun-hye termed Sunday’s launch an unforgivable act of provocation. “North Korea continues to develop their nuclear weapons and ballistic missile programs, and it is the responsibility of our Alliance to maintain a strong defence against those threats,” General Curtis M. Scaparrotti, U.S. Forces Korea commander, said in a statement. China, South Korea’s biggest trading partner, repeated what it says is “deep concern” about a system whose radar could penetrate its territory. South Korea’s military said it would make annual military exercises with U.S. forces “the most cutting-edge and the biggest” this year. North Korea objects to the drills as a prelude to war by a United States it says is bent on toppling the Pyongyang government. The United States has about 28,500 troops in South Korea. U.S. Secretary of State John Kerry said the United States would work with the U.N. Security Council on “significant measures” to hold North Korea to account for what he called a flagrant violation of U.N. resolutions on North Korea’s use of ballistic missile technology. Kerry held a telephone conversation with his South Korean and Japanese counterparts on Sunday, according to the State Department. South Korea’s navy retrieved what it believes to be a fairing used to protect the satellite on its journey into a space, a sign that it is looking for parts of the discarded rocket for clues into the North’s rocket programme, which it did following the previous launch. China expressed regret over the launch and called on all sides to act cautiously to prevent any escalation. China is North Korea’s main ally, but it disapproves of its nuclear weapons programme. Russia, which has in recent years forged closer ties with North Korea, said the launch could only provoke a “decisive protest,” adding Pyongyang had once again demonstrated a disregard for norms of international law. Russian Foreign Minister Sergei Lavrov discussed the launch with his Japanese counterpart, Fumio Kishida, the foreign ministry said later, with Japan initiating the phone call. Russia stressed the importance of diplomacy in defusing the tension in northeast Asia during the call, the foreign ministry said in a statement. North Korea has been under U.N. sanctions since its first nuclear test in 2006. It has conducted three more atomic tests since then, including the one last month, along with numerous ballistic missile launches. North Korea has said that last month’s nuclear test, its fourth, was of a hydrogen bomb. The United States and other governments have expressed doubt over that claim. North Korea is believed to be working on miniaturising a nuclear warhead to put on a missile, but many experts say it is some way from perfecting such technology. It has shown off two versions of a ballistic missile resembling a type that could reach the U.S. West Coast, but there is no evidence the missiles have been tested. Facts and Opinions is employee-owned and survives on the honour system. Try one story at no charge. If you value expert, no-spam, no-ads, non-partisan, evidence-based, independent journalism, chip in at least two bits per story to ensure we continue. Thanks for your interest and support. Details here. One of the best arguments today for the use of judicious political assassination is the existence of Kim Jong-un. There is now abundant evidence that the young North Korean leader is a mad dog. The world would be a safer place without his murderous and megalomaniac finger hovering over the launch button for his nuclear weapons and inter-continental ballistic missiles. And without the evil ministrations of his pointless regime, North Korea’s 25 million people would have the opportunity to make something worthwhile out of their ravaged country. The underground market is becoming the new normal in isolated North Korea, a dilemma for the Kim family’s hereditary dictatorship, which up until now has kept tight control of a Soviet-style command economy, largely synonymous with rationing and material deprivation. F&O’s CONTENTS page is updated each Saturday. Sign up for emailed announcements of new work on our free FRONTLINES blog; find evidence-based reporting in Reports; commentary, analysis and creative non-fiction in OPINION-FEATURES; and image galleries in PHOTO-ESSAYS. If you value our journalism please support F&O –and tell others about us.